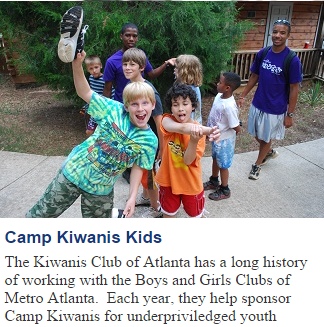 The Kiwanis Club of Atlanta serves the community, as we have since 1918. At weekly luncheons, we learn about our community, nation and world from interesting, informative and diverse speakers. We serve through volunteer support of charitable organizations, especially those with focus on the betterment of youth. And we connect at these luncheons and volunteer activities, and other places where friends meet. The Kiwanis Club of Atlanta was chartered on May 27, 1918 and is Georgia's FIRST Kiwanis Club. With more than 230 members, our civic club volunteers hundreds of hours each year to the Atlanta community serving more than 1,000 youth and their families. In addition, members contribute more than $150,000 each year which is combined with the interest income from our endowment so that we can distribute about $250,000 to about 60 community organizations. Keep up to date on Events, Updates and the latest news from Kiwanis Club of Atlanta. 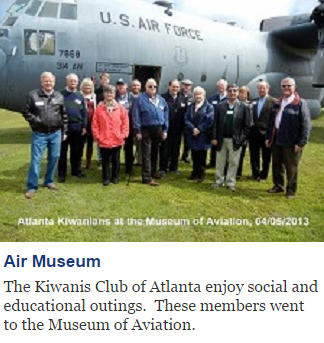 Learn why you should become a member of the Kiwanis Club of Atlanta.